If you’re bound for ministry and contemplating your undergraduate options, please allow me to offer a few words of exhortation. I know you’re likely eager to jump right into seminary, but do not discount the importance and value of these undergraduate years before seminary. If you are an older, non-traditional student with years of life-experience already, then the Bible college programs of our seminaries may be a good option. These programs were always designed and intended for such older, career-transitioning students. However, if you are a traditional student out of high school, I urge you to consider the value of a Christian, liberal arts university. And, in my opinion, there's none better than Union University. Our undergraduate years are extremely formative and a once in a lifetime opportunity. You’ll never get this chance again, so make the most of it. We mature both as young adults, embracing and experiencing the world in a new fashion, and as young scholars, encountering new ideas and learning to integrate knowledge within a Christian worldview. The setting for such education and life-experience is of paramount importance. I am strongly convinced that the best environment for undergraduate education, especially for the training and preparation of ministers, is in a liberal arts university setting. The interaction with the faculty and student body within such an environment can be God’s crucible for the development of God’s man. The whole design of a university is unity in diversity, one mission with diverse schools of learning, research, and inquiry. If I am to minister the gospel effectively, should I not receive a first-class, well-rounded education? A young minister ought to rejoice at an opportunity to study with Christian scholars from diverse fields! Among those who have most impacted my life are a math professor, a history professor, and a business professor. Each of these men were credentialed scholars in their fields; each of them were earnest followers of the Lord Jesus Christ and committed to His church; each of them left an indelible imprint on my own life and ministry. 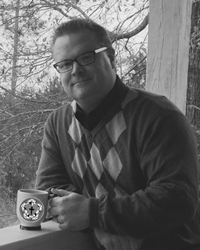 Over the years, I have been able to encourage and equip the teachers, business leaders, public servants, doctors, lawyers, and even professors in my congregations because my professors at Union University had first poured their Christian influence into my life. Not only did I receive a first-class education in the School of Theology and Missions, but my studies also included the College of Arts & Sciences, the MacAfee School of Business, and the College of Education & Human Studies. It was this liberal arts setting that helped provide a breadth and depth to my ministry that seminary was never designed to provide. I never would have learned the love of history if it were not for the passionate instruction of a Union University history professor. Though his specialization is in political and military history, his instruction helped me to see the grand narrative of the world God created and how history really is His story. My minors in History and Business not only helped my personal development but also my ministry formation. I am better able to understand, interact, and impact my community because I learned in the diverse community of a Christian, liberal arts university. On another note, some prospective college students wrongly assume that the best ministry professors are always those teaching at the seminary level rather than undergraduate. This isn’t the case. My college professors at Union University were first-rate and could have easily been employed by any seminary. Like some of their seminary colleagues, they are literally writing the books that shape ministry formation today. However, they choose to teach undergraduates because this is their calling. They have embraced the vision and mission of undergraduate, liberal arts education. As important as the faculty is to our undergraduate years, the student body itself is also equally important. Where is a college student more likely to cultivate the skills necessary for gospel effectiveness? A Bible college where everyone is preparing for ministry or a university community more reflective of the churches we will serve? In college, we ministerial students had regular opportunities both for evangelism and discipleship within the student body. The university campus, even at a Christian institution, is still a mission field and learning laboratory for young ministers. However, the student body is more than just a ministry field, it’s also a Christian community where we learn to share life as we follow Christ. Christian relationships with future chemists, nurses, entrepreneurs, educators, journalists and so on are like iron which sharpens iron (Prov. 27:17) and mirror the kinds of gospel-oriented relationships we must form in effective church ministry. And speaking of Christian relationships, don’t discount the value of a good Christian university in meeting your future wife. God’s providence often smiles upon us even romantically as he brings a young man and young woman together in marriage. I met, proposed, and married my wife while in college. Knowing that years of graduate seminary study would follow, I am glad the formative years of my undergraduate education were spent at a school like Union University. I am a better person and better minister because of the education and environment afforded by a Christ-centered, liberal arts university. I urge you to consider the value of this opportunity for your own life and ministry. In life we can either be “humbly grateful,” or else we’ll likely become “grumbly hateful.” And the difference between these two attitudes is often more related to our perspective than it is reality. Think about it! There are some people who have so much—so much to be thankful for—but rather than being grateful, they are, instead, dissatisfied and discontent. And they don’t mind letting others know about it, either. The problem here may be an inflated sense of entitlement—that attitude which says “I’m owed so much more than I’m getting!” A sense of self-entitlement is at odds with an attitude of gratitude. 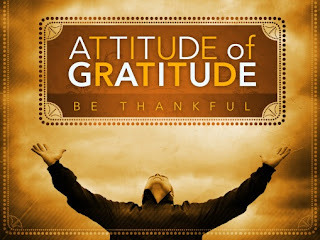 You see, gratitude is not a measurement of how much we have, but rather how thankful we are for all we have received. Gratitude flows from recognizing that “Every good thing given and every perfect gift is from above, coming down from the Father of lights” (James 1:17). When we understand that ‘everything we are’ and ‘everything we have’ is a gracious gift and blessing from God, our perspective can change. After all, what exactly do we deserve? Perspective changes things, doesn't it? Think about small children at Christmas time. So many of us have laughed over the years as we’ve watched children enjoying the empty boxes as much as the toys that came in them. But where we see “empty boxes,” they see “open possibilities.” That’s perspective! If we view our lives from the perspective of entitlement, we’ll complain about how empty the box is. But if we view our lives from the perspective of gratitude for all of God’s blessings, we’ll see how truly full that box is and how open it is to possibilities. Through Upward Sports, we hope to help our children develop this kind of perspective. But, our examples as adults and our choices as parents will either encourage this attitude of gratitude, or else enable a spoiled sense of entitlement. Paul asked the Corinthians, “What do you have that you did not receive? And if you did receive it, why do you boast as if you had not received it?” (1 Cor 4:7). Today, perhaps your box looks awfully empty. But, there is a gift you can receive that will not only change your perspective, but will change everything. To understand how blessed we really are, we first need to receive the greatest blessing of all—Christ. The Bible does indeed say “the wages of sin is death,” however, it doesn't stop there. It goes on to say, “but the free gift of God is eternal life in Christ Jesus our Lord” (Rom 6:23). Christ is able to reconcile us forever with God, forgiving our sin and promising everlasting life. If you try to fill your box with mere religion or good works, or if you try to fill it with mere pleasure or possessions, you’ll still just have an empty box. But if you truly repent of your sin and turn in faith to the Lord Jesus Christ, the One who died for sin and rose again, then He Himself can fill it. John the Baptist once said, “A man can receive nothing unless it has been given him from heaven“ (John 3:27). If you have already received this greatest of all blessings, then realize how rich you are in Christ Jesus! You can be humbly grateful rather than grumbly hateful. But if you have not received this good and perfect gift, I pray Heaven comes calling, maybe even today, and God may grant [you] repentance leading to the knowledge of the truth (2 Tim 2:25). What have you received? Are you truly grateful?